StorageCraft has honoured its top performing partners across Australia and New Zealand (A/NZ), recognising channel excellence following a strong year of growth. Held at the Ivy Penthouse in Sydney, the awards acknowledged innovation across nine categories, spanning partners, distributors, alliance vendors and individuals. In recognition of a stellar 12 months in the market, eNerds took home the Partner of the Year award, while Lanrex was named as Managed Service Provider (MSP) Partner of the Year and Aurora IT was honoured as Cloud Partner of the Year. Furthermore, Accor Hotels claimed Key Customer Win, while Dicker Data Australia was crowned as Distributor of the Year and Trend Micro took home Alliance Partner of the Year honours. 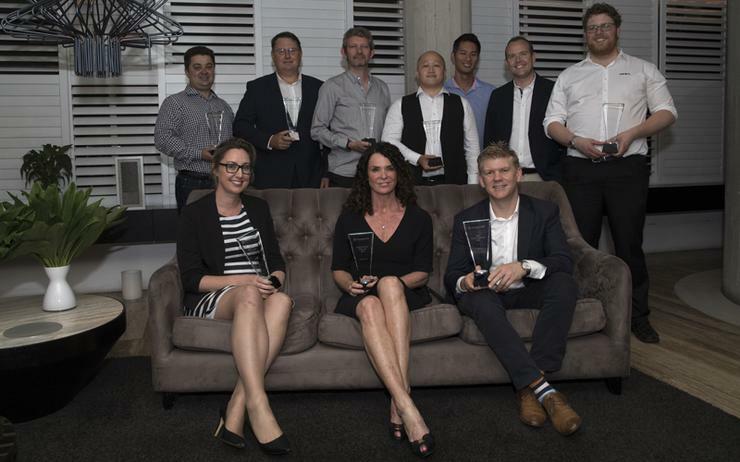 From an individual perspective, Paul Miller of ACA Pacific, Tony Lam of Dicker Data Australia and Lee Fishlock of Centrix were recognised for excellence across Distributor Sales, Innovation Excellence and Technical Excellence. “Congratulations to our partner winners following a strong year of growth across Australia and New Zealand,” StorageCraft head of sales Asia Pacific, Marina Brook, told ARN. “These awards recognise the best of the channel ecosystem and we’re proud to honour partners across different categories and markets, all of which have contributed to the continued success of StorageCraft and their own businesses.